Decisive weekend ahead as National League 1 nears a conclusion? Home » News » Decisive weekend ahead as National League 1 nears a conclusion? There are only two weekends of scheduled fixtures left in this season`s National League 1 programme, and the denouement can frequently throw up some strange results as the tension mounts, but Grange and Edinburgh University still hold sway at the top of the men`s and women`s National League 1 tables. Grange will target to go over the line this weekend with a home double bill against Hillhead on Saturday and then a rearranged game against Clydesdale the following day. In reality, a Grange win against Hillhead would be enough to have the champagne corks popping in Stockbridge, 42 points would be enough to see off the challenge of both Western Wildcats and Grove Menzieshill irrespective of their outcomes on the same day. The omens look favourable, back in November Grange won 3-1 at Anniesland, James Nairn in the first half and a second half double from Dylan Bean were on target. In addition, Mark Ralph`s charges lost their last two outings to Grove Menzieshill and Western to slip out of the top four. The race for second spot looks to be between Western Wildcats and Grove Menzieshill, the former have a two point lead with a game more played, and have the tricky assignment against Uddingston at Bothwell Castle Policies where many a championship aspirant has come unstuck. The Taysiders have no easier a task away to Edinburgh University who aspire to a top four finish and will need the points to do so. 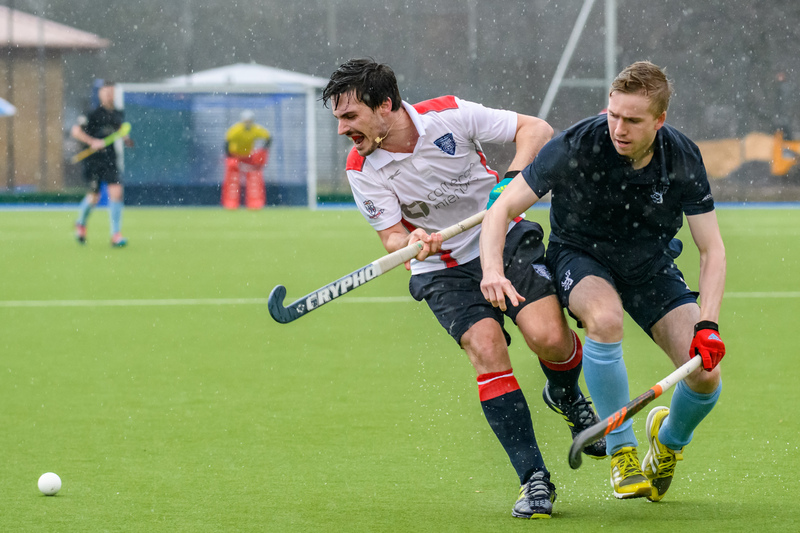 Grove Menzieshill remain unbeaten since the winter shutdown and are in preparation for the knock-out stages of the EHL for the first time, but the students have shown their capability of causing an upset on several occasions this season. The final top four spot is still very much up for grabs, Uddingston are there at the moment on goal difference from Hillhead, Clydesdale and Edinburgh are two points behind with Watsonians an outsider two further points adrift. And Watsonians entertain Clydesdale on Saturday, the winner could drift up towards the top four, while the defeated may remain in the relegation play-off zone. Current form shows little between the sides, although the Edinburgh outfit did win the opening clash 5-1 at Titwood. The final fixture on Saturday`s card is between bottom sides Gordonians and Kelburne, unfortunately there is nothing at stake in the result. On Sunday Clydesdale have another chance to collect some valuable points in the catch-up clash with Grange, they just might manage to take advantage of the champions in hangover mode after possibly retaining the league title. However, Edinburgh University will look to advance their cause for fourth place on Sunday with three points from a home game against Gordonians at Peffermill. 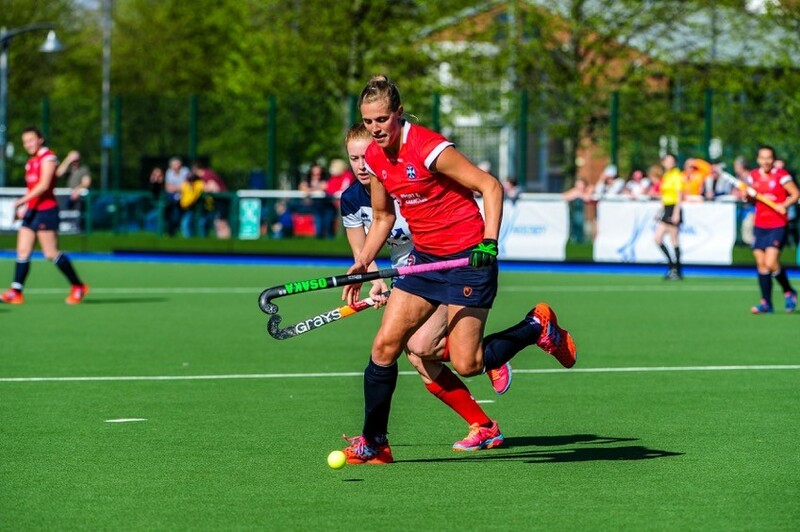 In the women`s National League 1 Edinburgh University are still in the driving seat, but they will need to do a Tayside double against Grove Menzieshill and Dundee Wanderers this weekend to hold on to that status. Form would suggest that Grove Menzieshill, somewhat anchored in sixth place, could be the more favourable of the assignments. The Taysiders succumbed to a second half barrage from Clydesdale Western on Tuesday night on their way to a 4-1 reversal. Further, Grove Menzieshill went down 5-1 to the students in the earlier league encounter, Amy Brodie getting a double. Wanderers might be a tough encounter, especially if their youthful forward line can get amongst the goals. The Dundonians have won all four games since the winter shutdown, scoring 20 goals in the process. Sam Judge`s charges have also shown good form, but their vulnerability was exposed by Western Wildcats in a 3-2 victory several weeks ago. Clydesdale Western are the side with the most realistic chance of catching the champions, they are two points adrift after their midweek success. But Derek Forsyth`s charges are up against Watsonians on Saturday, a win is essential and he must also hope for a students’ slip-up against the Dundee duo. Watsonians have emerged as a developing side under the coaching aegis of Keith Smith, last season they finished in the top four for the first time, at the moment they lie fifth in the table. But the Edinburgh side failed to get the better of Western back in November, losing 3-1 to goals by Heather Howie (2), and Ali Eadie. However, fifth place is certainly up for grabs when Watsonians visit rivals Grove Menzieshill on Sunday. After winning the only game to survive the snows last weekend, Western Wildcats drew level with Western on 35 points, but as a consequence have played a game more. Nevertheless, Kaz Cuthbert`s side will hope to keep up the pressure at the top with another three points at the expense of Glasgow University. Before Sunday`s crunch meeting with Edinburgh University, Dundee Wanderers have a home game against GHK and will target to take the three points to build up their confidence. The final encounter takes Hillhead to meet bottom side Grange in Edinburgh, an away win could secure seventh place for the Glasgow side.